The ESRI UC is the world’s largest event dedicated to geographic information system (GIS) technology and it is held on an annual basis. This year, the ESRI UC registered 17,000 participants from all over the world. The conference offered more than 600 GIS user presentation sessions, 300 exhibitors, 275 technical workshops, 100 special interest, regional, and user group meetings, and 600 map posters and special displays from more than 100 countries. Thousands of professionals from different industries attend the Esri UC. The WWF-SIGHT team presented the project in front of a varied audience ranging from the private and public sector, as well as research institutions. The Presentation went well with a substantial interest from the audience, in particular related to the extractive analysis and overall WWF-SIGHT approach. The questions and points raised by the audience where very important for the WW-SIGHT team to direct and optimise the development of the platform and the approach. 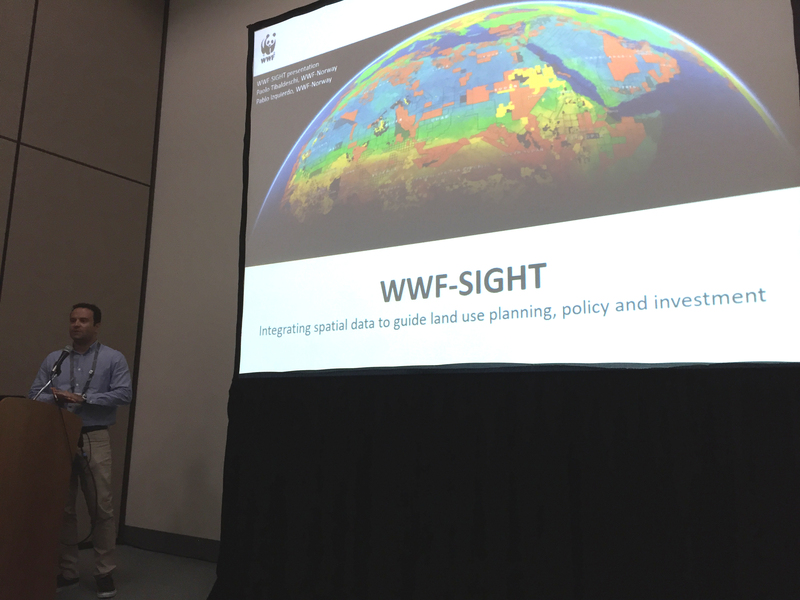 The ESRI UC conference was particularly interesting for the WWF-SIGHT team in order to learn about the new Esri products and applications, as well as meeting with Esri developers and focal points. 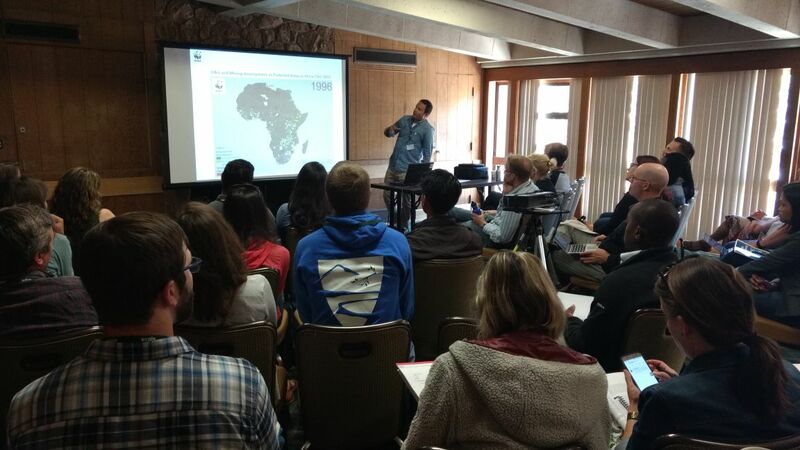 Following the ESRI UC conference, the WWF-SIGHT team headed to Monterey, California to attend the Society for Conservation GIS (SCGIS) annual event. SCGIS is a non-profit organization that assists conservationists worldwide in using GIS through communication, networking, scholarships, and training. 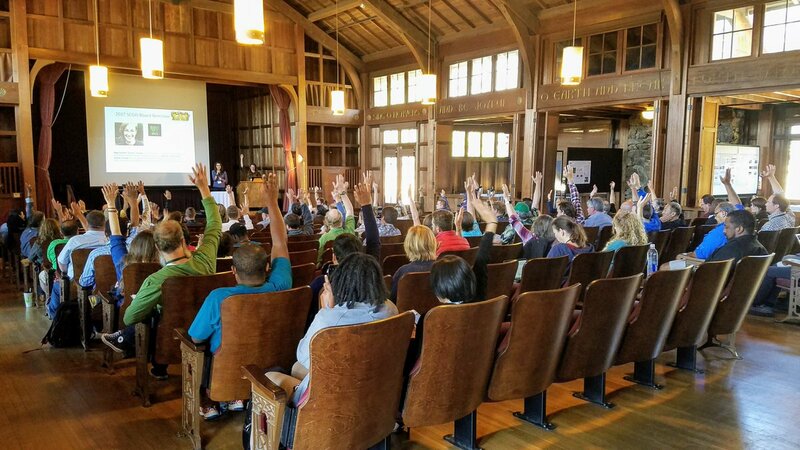 Each year, SCGIS conveys an event to build community, provide knowledge, and support individuals using Geographic Information Systems (GIS) and science for the conservation of natural resources and cultural heritage. There again, the WWF-SIGHT team presented the project in front of an audience of conservationists, scientist and researchers. The Presentation allowed sharing the conservation aspects of WWF-SIGHT highlighting the sectoral threat analysis against the set of environmental metrics we have on WWF-SIGHT. Again, the questions and points raised by the audience and others during side meeting was very valuable to help identify new ways to develop the platform. Overall, it has been very useful for the WWF-SIGHT team to attend these two events, both in terms of sharing the project and getting feedback from a diverse audience, as well as learning about new technologies, different approaches and innovative solutions.